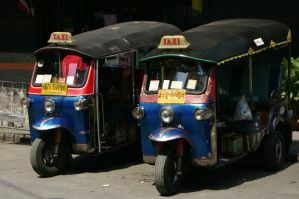 Thailand has become a world class destination for its beaches, mountains, jungle, food, and friendly people. And there's one more reason why people flock to this tropical nation: it's cheap. The affordability of Thailand, even for the stunning tropical beaches, is a major draw of tourists to the region from all over the world. Younger travelers in particular, looking to save some cash, visit looking for a good time, a relaxing break, and an exotic land. These cheap hostels are recommended not only to help you stretch your budget, but also to keep you safe and have fun along the way. 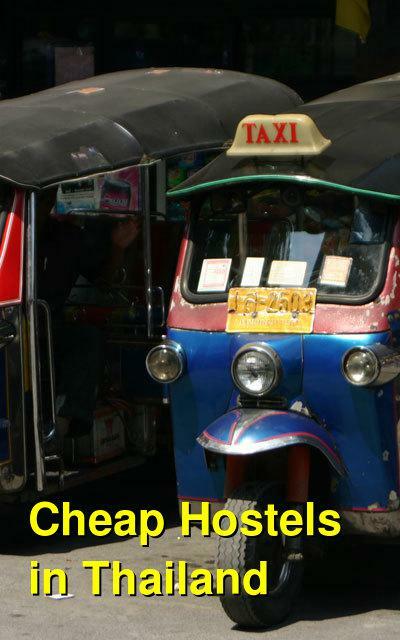 How much do hostels in Thailand cost? Conveniently located a short walk from the popular Night Bazaar, the Bed and Terrace Guesthouse in Chiang Mai is in an excellent location near everything. It's set amidst shopping, commercial, and restaurant areas and is an easy walk to most things you could want to see. In addition to being by the night bazaar, it's also close to the Sunday market which is near Tapae Gate, and the old city. There's also a nearby huge electronic store that many visitors enjoy going to so that they can find good discounts on electronics. The guesthouse itself is quite nice and at an affordable cost. It has very comfortable, modern rooms that still reflect a Thai style of design and decoration. There are many amenities connected to the rooms and you can have a wonderful view of the beautiful mountains from you room's pleasant terrace. This classic style backpacker accommodation option is one of the most affordable in the area. It's located at the sea front and is just 200 meters from the beach. It's also right next to one of the area's most popular restaurants, the Treehouse Restaurant. There are twenty two very basic huts available to travelers. They are equipped with double beds, fans, and a shared bathroom facility. If you'd like a private bathroom you can pay a little more for one of the five concrete bungalows that are available. These have ensuite bathrooms. This simple, but affordable accommodation option is great for backpackers who don't want to pay more than they have to. It's basic, but there is a nice relaxed atmosphere and an on site restaurant where you can hang out. The huts are located by Lonely Beach. Other attractions in the area include Bang Bao Fisherman Village, Khlong Phlu Waterfall, Elephant Camps, Salak Khok Mangrove Forest, and Salak Pet Bay. This quiet hostel is a great option for travelers who are looking for somewhere that is affordable and comfortable. It has a lovely atmosphere and there are public areas where you can relax in the evening after your day of exploration. It's near the night bazaar and the Chinese market, plus many different services including markets, restaurants and a supermarket that is just a five minute walk away. There's also internet available in the entire building. The building is located on the western side of the Maeping River, several blocks from the river in the heart of the city. There are bikes and motorbikes available for rent and you can take advantage of the laundry service as well. The bathrooms all have hot showers. Some of the rooms are also equipped with air conditioning. This is a relaxing place to stay with a nice environment at a very reasonable price. This affordable guesthouse has a great atmosphere in a very pleasant neighborhood. It's a nice little oasis in the middle of the otherwise hectic city of Bangkok. It's a popular option with budget travelers and there are many services that are available to guests here. There is a service center which can give you any advice or guidance you might need. It is staffed by both European and local staff. There is also a lobby, cafe area, and more. The rooms have all been recently renovated and the guesthouse is very inviting and comfortable. This is a guesthouse that appeals most to budget travelers of all different ages. The home like setting makes it appropriate for families, seniors, and youth alike. All are welcome and it is a nice base for exploring a fun and exotic city. There are service guides available upon request as well. If you need to relax and take a break from your trip it's fun to just sit back with other guests and enjoy a movie. You can relax in the cafe with a good book or you can spend some time simply listening to music. This is the perfect place to make your home away from home during your time in Bangkok.